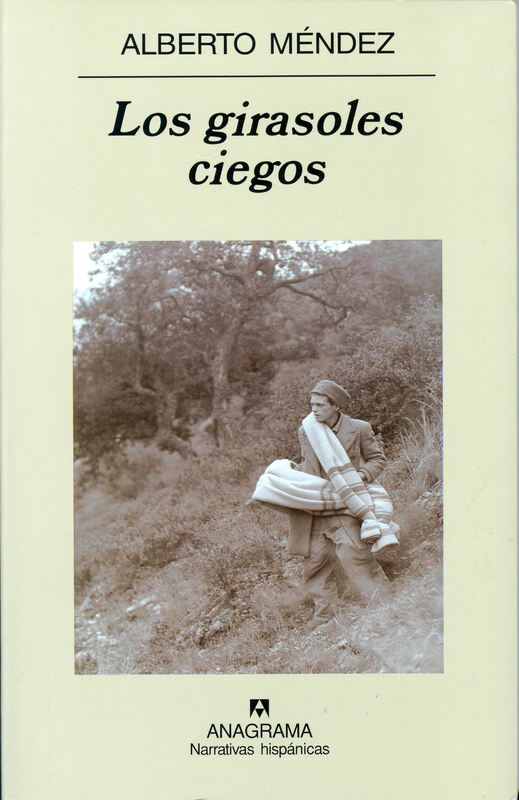 Los girasoles ciegos was Alberto Méndez’s only book of fiction, and he published it late in life, at the age of 63. Indeed, he died shortly after its appearance, and so didn’t live to see the extent of its tremendous critical and popular success, its multiple prizes and its film adaptation a couple of years later. Méndez was less a writer than an editor: he worked for many years in the publishing industry. And this is nowhere more evident than in the second of the four interlinked stories that comprise this brief collection: “Second Defeat: 1940 or Manuscript Found in Oblivion.” For what else do editors do then deal with manuscripts and attempt to rescue them from actual or potential oblivion? And here the story is framed and consistently interrupted by editorial interventions that remind us both of the materiality of the text and the limits of our powers of interpretation. For the project to rescue anything from oblivion can never be fully successful. Something (as they say) always escapes. But not every escape is successful. Or rather: for every escape there are as many blockages and dead ends. For here, the manuscript is the narrative of a failed attempt to flee Franco’s Spain. A young man and his pregnant wife have trekked up into the hills, but the woman dies in childbirth leaving the father and infant child in an isolated hut as winter approaches. In a tattered notebook, with a script that becomes steadily more cramped as the physical limits of writing and body alike loom ever closer, the man documents what he knows will be a voyage without return. Much of what he writes, especially on the margins of the page, is illegible or uncertain, and much else is unstated or indescribable. But we glean that he is a former poet, a youthful rebel and somewhat romantic adherent to the Republican cause. Now, however–and as the editor notes, he writes this in all caps and in a style imitating print–he declares himself “A POET WITH NO VERSES” (47). Méndez’s book is devoted to such silent poetry, or poetry of silence. And he is aware that writing will never redeem the oblivion of defeat; on the contrary, the fatal seduction of writing is its claim that such redemption might be possible. Rather, it is careful editing, attention to the limits of the text, that reminds us that ultimately what is once forgotten can never be unforgotten. The best we can do is to recover the oblivion itself. Or in the words that he takes as his epigraph, from Carlos Piera’s introduction to an anthology of poetry (another series of texts embedded within other texts), the task is to “[accept] the existence of a void as part of us” (9). This void is perhaps the same as the one that recurs in the book’s final pages, as the denouement of the title story, the “Fourth Defeat.” Here, a man who has been forced into hiding in his own house (another failed escape) finally emerges to save the honour of his wife, pursued by a lecherous priest, but also because his confinement has become intolerable. He recognizes that by showing himself he also dooms himself, that all he can manage is a final gesture that at one and the same time accepts and refuses the finality of defeat. He throws himself into the atrium of his apartment building. This leaves his son with an impossible memory–impossible because he realizes that he could not in fact have been tall enough to look though the window and watch his father’s body disappear from view. Like Méndez himself (born in 1941, after the war), he cannot have witnessed the trauma that haunts him. But nor can he now forget it. See also: War; Spanish Civil War novels.